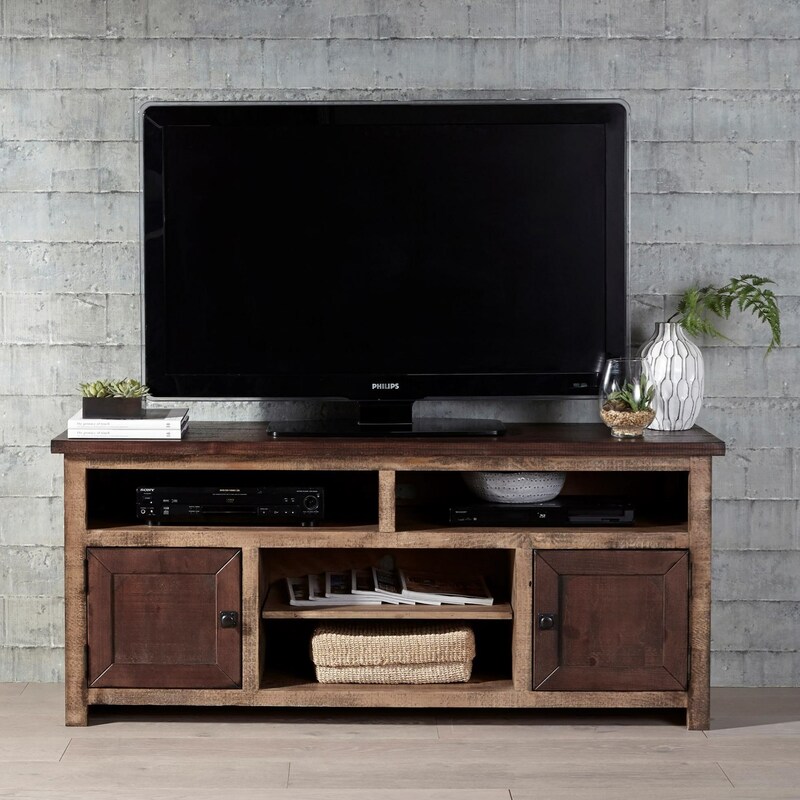 The casual two-toned look of the 60-inch media console meshes excellently in a variety of living and entertainment spaces. Featuring adjustable shelving, great for your entertainment and gaming consoles, and two dark stained cabinets with burnished brass handles to store accessories. The Trilogy 60 Inch Two-Toned Console by Progressive Furniture at Zak's Home in the Tri-Cities, Johnson City, Tennessee area. Product availability may vary. Contact us for the most current availability on this product. Browse other items in the Trilogy collection from Zak's Home in the Tri-Cities, Johnson City, Tennessee area.